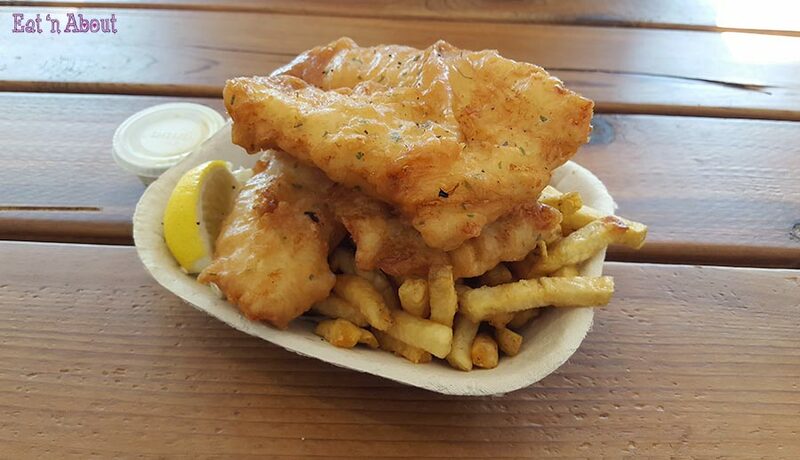 This is Part 5 and the last of our Vancouver Island Food Adventures this time around! Check out the rest! 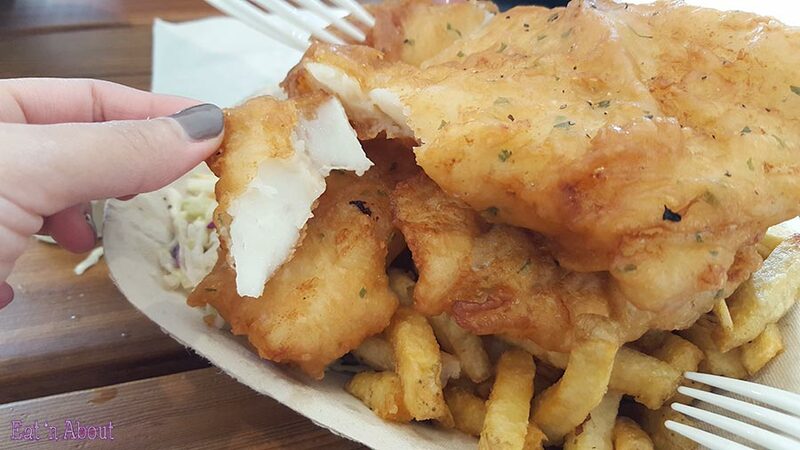 We had passed by Jigger’s Fish & Chips a few times and AngryRussian had always planned to go, so we finally did for our last lunch of this trip and boy was that a great decision! 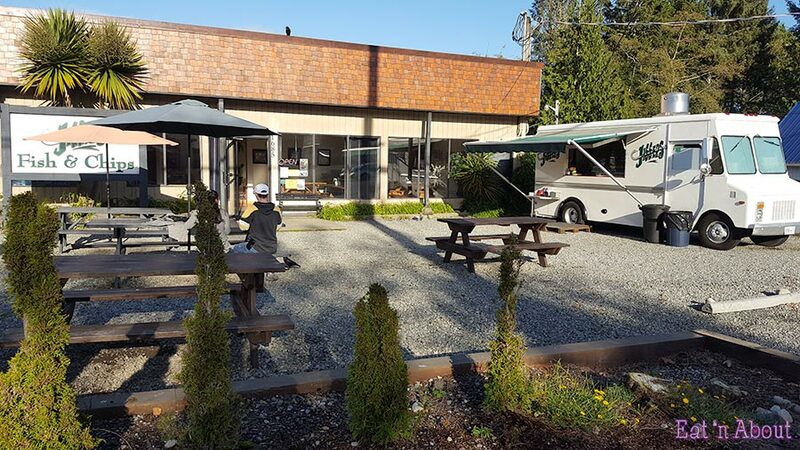 The operation is kind of a backwards restaurant- the kitchen is outside in a food truck whilst the permanent structure beside it is the eating area and washroom. The seats are picnic tables which I thought was very cool and unique. 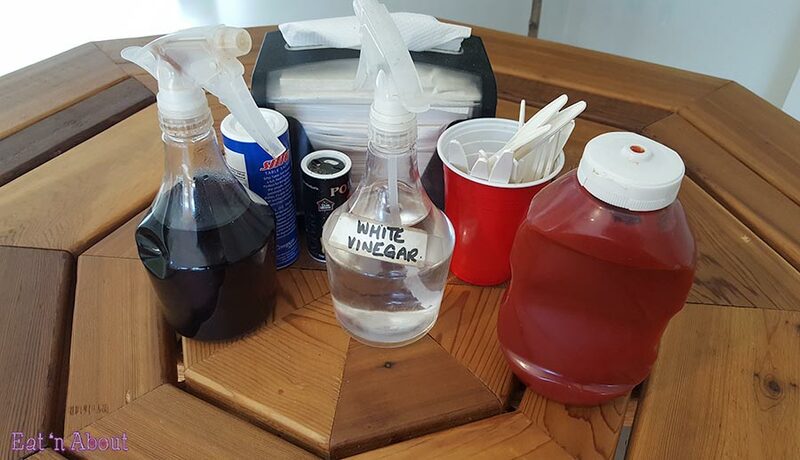 And on each table are the usual condiments of ketchup, salt and pepper, utensils, and malt and white vinegar. I was immensely amused to see that they have their vinegars in spray bottles and I thought it was ingenius!! Why hadn’t other places thought of that before?! Spray bottles allow you to coat every part of your food in a light even mist of vinegar instead of patches of drops! I’m enjoyed this very much. But the best part was the fish!! Today’s catch was cod and we got the 2 piece ($21) to share. We actually received 2 pieces plus a strip maybe coz they thought the second piece was too small? We’re not complaining. Look at that batter! I love that they seasoned the batter with what I would like to think as seaweed and other ingredients and it made this so yummy!! The batter was really crispy and flaky and light. And the fish was so juicy and piping hot! 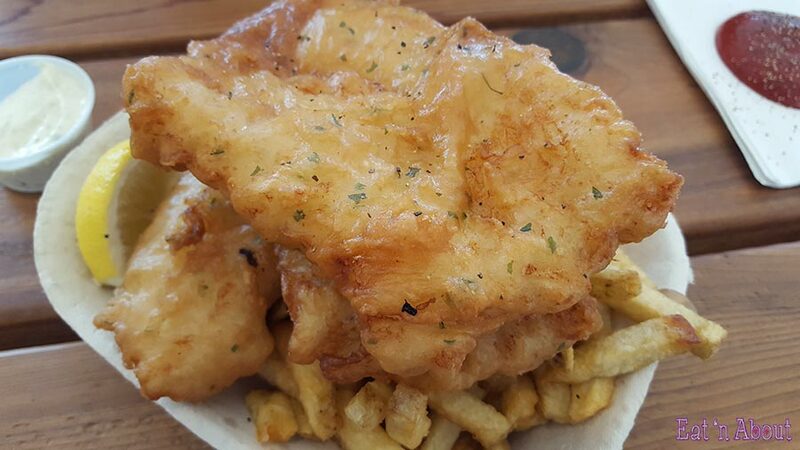 We tried so hard not to burn ourselves but Jigger’s fish and chips was so delicious it was difficult to wait! I’m salivating thinking about it. I’m not usually a fan of fries but Jigger’s is pretty good too. They were moist and fluffy inside and crisp outside. Obviously we really enjoyed Jigger’s and I would 100% recommend them if you ever visit Ucluelet. 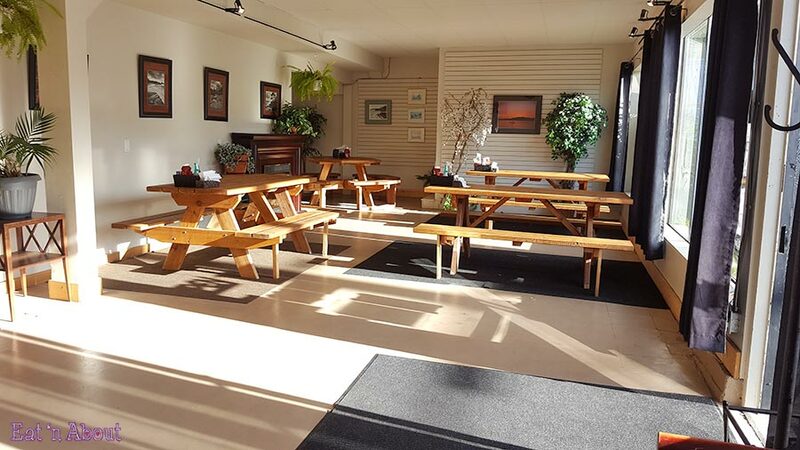 Heck…visit them even if you were just planning to visit Tofino!